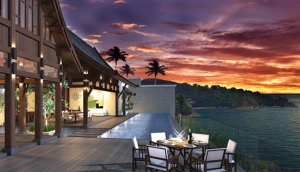 Top notch Western quality designed and constructed villas offer private residences for people living or vacationing in Phuket. Often these exclusive homes are set seaside or very close to the beach. Having your own villa offers privacy and intimacy in this area. Spacious open living areas, lush gardens and a swimming pool set on a large area of land are features that add to the joy of living in this tropical paradise.